ExifPro is an application meant to display, manipulate and browse photographs. 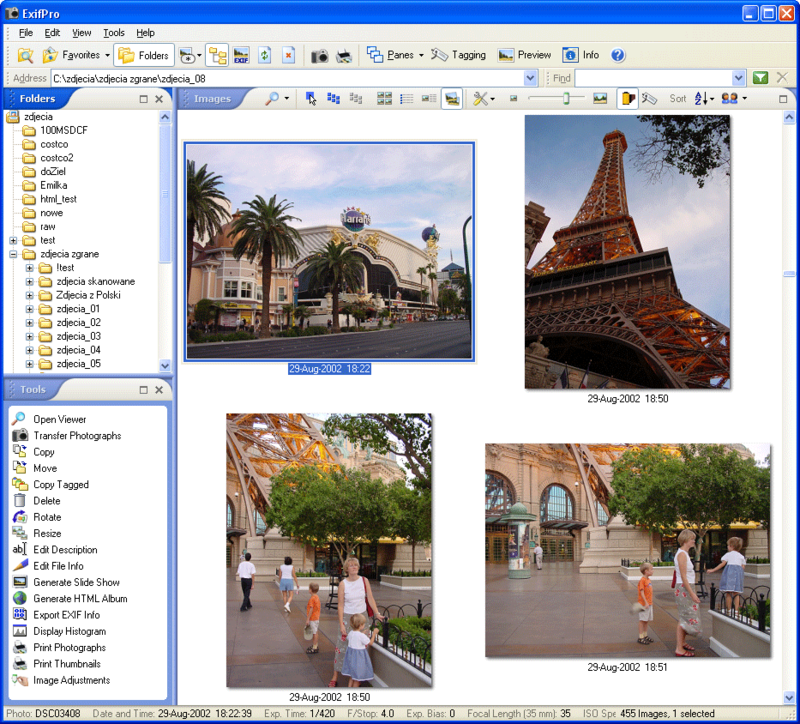 ExifPro can display images in different view modes. Selected images may be copied, resized, cropped and adjusted using tools offered by ExifPro. If you need more information please contact the developers of ExifPro (Michal Kowalski), or check out their product website.